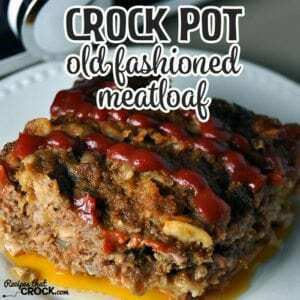 Crock Pot Old Fashioned Meatloaf - Recipes That Crock! If you are looking for a tried and true meatloaf recipe, your search has ended! 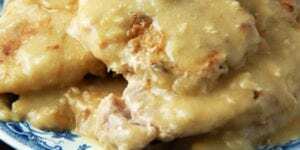 This Crock Pot Old Fashioned Meatloaf recipe is the one Momma used while I was growing up. And boy is it good! We were getting ready to go away for our very first weekend trip without the kids. My mother-in-law was coming up to watch the kids, so I wanted to make up something that I knew the kids would eat so she wouldn’t have to worry about dinner while we were gone. 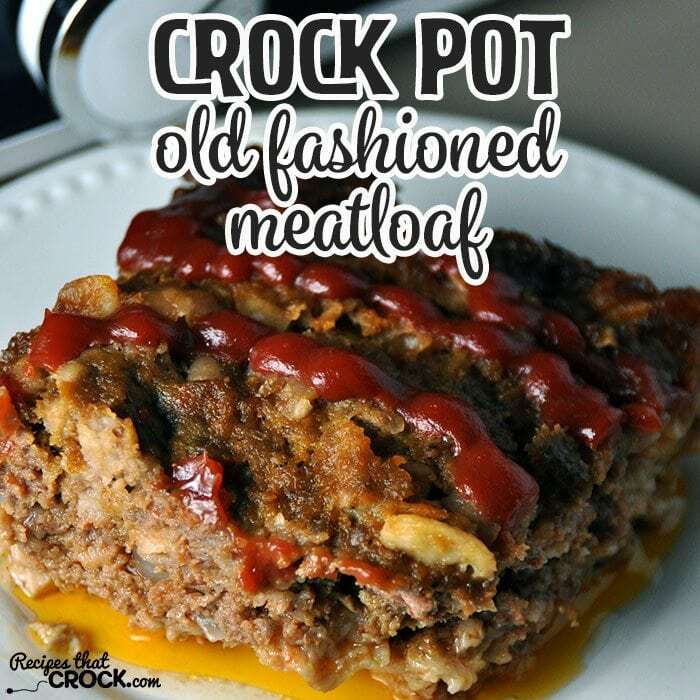 I knew that this Crock Pot Old Fashioned Meatloaf that Momma made while I was growing up would do just the trick! I doubled up this recipe so there would be some left for us when we got back! I sure didn’t want to miss out on it! So if you need fewer servings, divide the recipe in half and use a smaller crock. Be sure and watch it the first time so you can know how much you need to adjust your cooking time. I made this Crock Pot Old Fashioned Meatloaf up in Cassie (my 9 x13 casserole slow cooker made by Crock Pot). If you don’t have one, the make up the full recipe in a 5 or 6-quart crock pot or a half recipe in a 2.5 or 3-quart crock pot. This Crock Pot Old Fashioned Meatloaf recipe is Momma's recipe adapted for a crock pot! 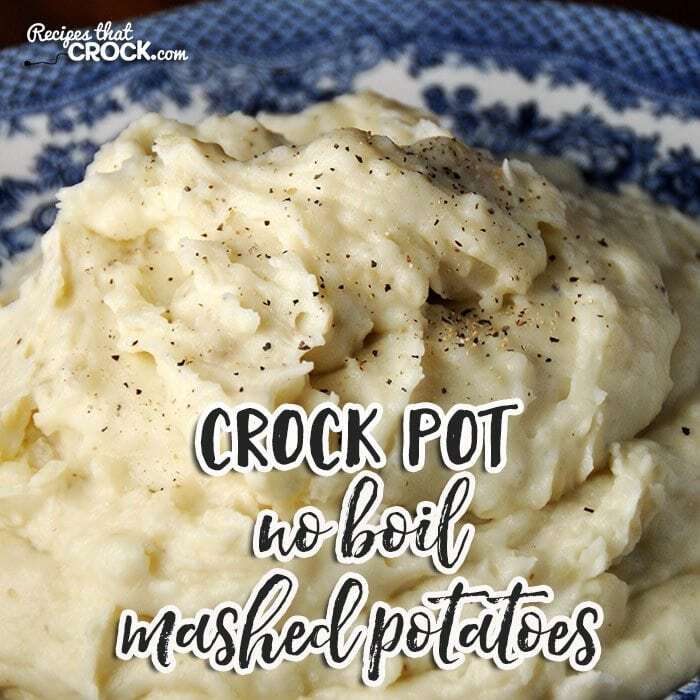 You might enjoy this recipe with our Crock Pot No Boil Mashed Potatoes. It is a true family favorite around here! I hope you enjoy it as much as we do! In my experience, slow cookers can vary greatly in how hot they cook. So I always recommend that the first time you try a recipe to make it when you can watch it. That way you know how your specific slow cooker cooks that specific recipe. That being said, I would plan at least 4-6 hours on low for this recipe in a 6-quart slow cooker since it has 2 lbs of ground beef. 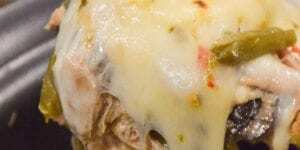 hubby and I both favor meatloaf – must try this recipe soon. 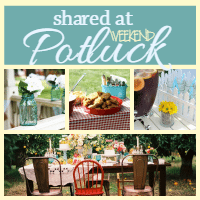 So glad you shared with us at Weekend Potluck. 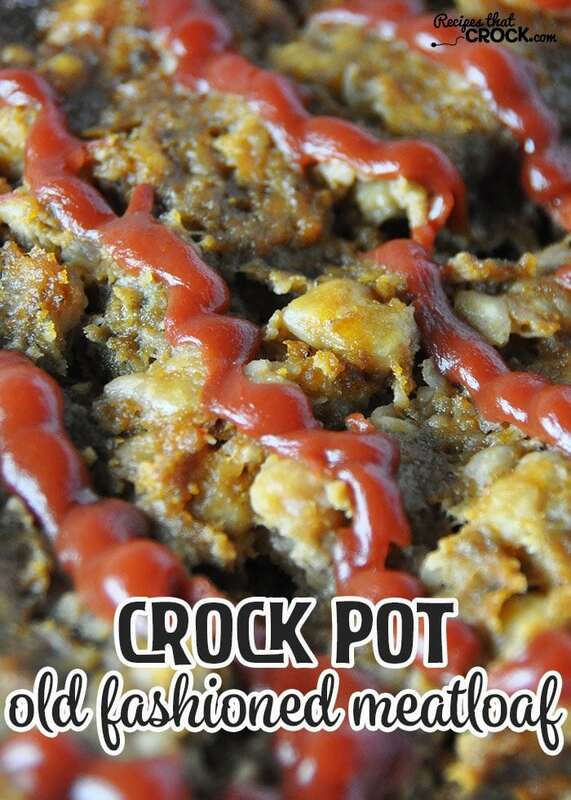 Love meatloaf in the crockpot! My recipe uses onion soup mix instead of onion, and it tastes great. I always put a full layer of carrots on the bottom of the pot for the meatloaf to rest on. It gives a great flavor to the carrots, then serve with mashed potatoes. A true comfort meal? Why do you make a groove down the middle? Does the groove go down completely to the crock, in essence making 2 loaves? The groove does not go all the way down. It is just an indention the length of the meatloaf. As for why, there may be a science to it, but for me, that is how Momma always did it, so that is what I do too! Enjoy! I always put shredded carrots in meatloaf when my boys were little because they didn’t like vegetables. I still do, because it seems to make it more moist. I will try this the next time. It will be especially good in the summer since you don’t have to turn the oven on. That’s a great idea! I hope you enjoy this as much as we do! Just wondering…..why does it look like there’s cheese under the meatloaf? It is the oil from the meatloaf. We had higher fat ground beef on hand, so that is what I used. If you would like a leaner meatloaf, you can use a leaner ground beef. Just be sure to keep an eye on it as a leaner ground beef will dry out more easily. Enjoy! Thanks for the reply. I don’t eat beef, so I think I’ll try this with ground turkey. Any hints for making a moist turkey meat loaf? You are quite welcome! This recipe should work with ground turkey as well. If you want it moist, just make sure you don’t buy a really lean turkey. If you buy an 80/20 ground turkey, you shouldn’t have a problem. 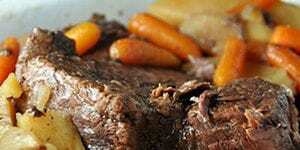 Just watch it and use a meat thermometer to know when it is done. Enjoy! Aunt Lou- Doesn’t this turn out greasy? If you want less grease than what I had, you can use leaner ground beef. Enjoy! Great recipe. I have diabetes and this is good with low carb bread or oatmeal. I also add shredded carrots to get in some more veggies. That’s a great idea! I hope you enjoy it as much as we do! My grandkids will not eat onions. Is it possible to use onion soup mix and how much do I use? I have not tried it with onion soup mix, but you might give it a try with it a packet, or you could leave the onion out completely. Enjoy! Of course you can use onion soup mix! Use the entire pkg. It’s great with a packet of Lipton Onion Soup mix, pack of crushed saltines, eggs, and chopped green green pepper! Mince the onions very fine kids won’t know there in the meat loaf, onion soup mix will add excessive salt and will change taste from this recipe! I’m sure it would taste good though! I don’t like onion but my husband does so I take 1\2 of it out and devide it with foil add the onions to the rest and add. Then cook it, the onion flavors the whole thing but I don’t have to eat them. That is a great idea! Thanks for sharing. 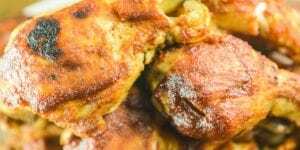 I love hearing how readers take these recipes and make them their own! I love my casserole crock! 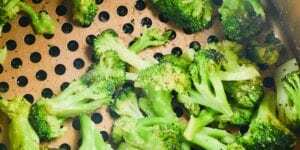 If you need more ideas for recipes to use with yours, be sure and check out the link below. 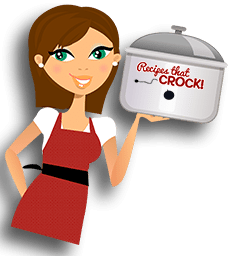 It will give you all kinds of great recipes for your casserole crock! 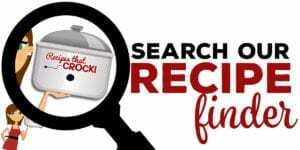 Thanks, I’m always watching for recipes for my Casserole Crock. Since I only cook for two this is perfect I can freeze half after cooking and have a meal for one of THOSE days.